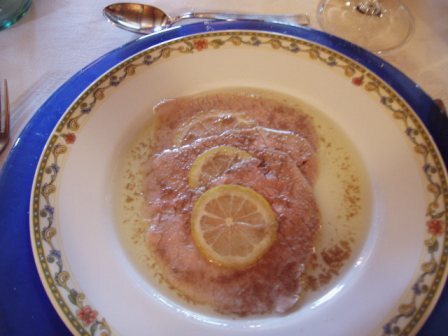 Ingredients: sixteen slices of veal very thin; salt; olive oil; garlic (1 clove of garlic); lemon juice (½ lemon); parmesan cheese; pepper. Method: Prepare a sauce mixing lemon juice, salt, olive oil, one clove of garlic crushed with a fork. Put the slices lying flat on a plate and cover with the prepared sauce. At the end you can put the shaved parmesan and if you like a bit of pepper. Ingredients for the pasta: 400g white flour type 00; 12 egg yolks; Pinch salt. Ingredients for the sauce: 100g veal minced; 100g sausage or pork minced; 100g turkey minced; 2 cloves garlic; ½ onion; 2 stalks of celery; ½ small carrot; 2 leaves laurel; 2 stems of rosemary. Method: Mix the flour with the egg yolks and the salt and leave to rest. 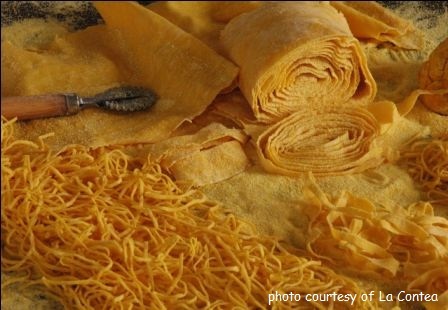 Pull a thin sheet of pasta adding yellow flour for making the pasta dry better; roll the pasta cut it with a sharp knife in small strips. For the sauce, put the oil in a pan add the finely chopped herbs, vegetables and meat cook on a high heat. When tagliolini are cooked and drained place in the pan and mix, serve warm with grated parmesan cheese. Directions: Use a classic molded pan (with a central hole) to caramelize some sugar over heat and coat all the interior and put aside to cool. Warm up the milk and whisk-in the crushed Amaretti biscuits. 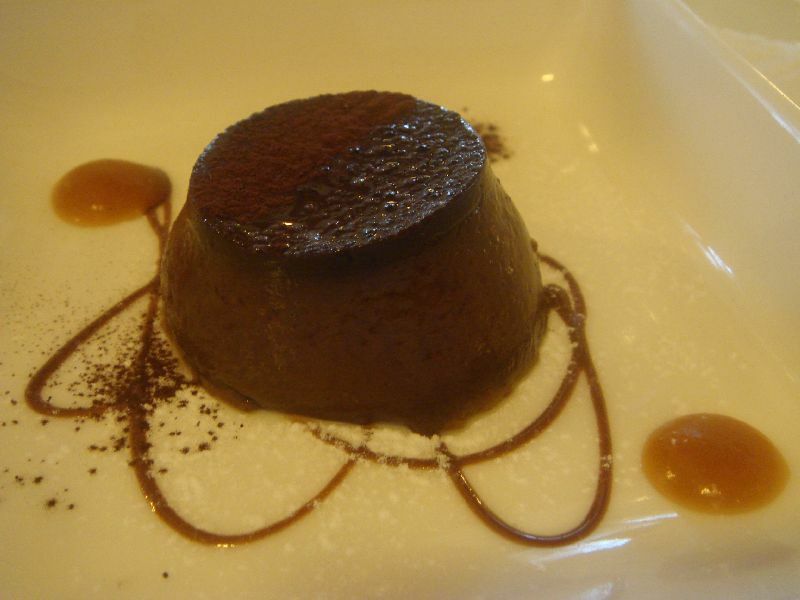 Mix together in a bowl egg yolks, sugar and cocoa. Add the milk/amaretti and blend. Pour the contents into the pre-caramelized molded pan and place into 320 degree oven until set.